Ten years later: Happy anniversary Mr. Putin!!! Cast your mind back to 31 December 1999. In Moscow, it is the last day of a century that has seen revolution and the collapse of communism. Everyone in the Russian capital is waiting for reassurance from regions further east, where the new millennium has already started, that Russia’s nuclear power stations are still safe – now that the date on their computers has changed to 2000. The main news of the day comes as a surprise. Boris Yeltsin, Russia’s first post-Soviet leader, announces his resignation. Vladimir Putin takes over as acting president. There is war in Chechnya. The economy is still reeling from Russia’s defaulting on its debt a year earlier. Mr Putin “came into a virtual failed state”, says Sergei Karaganov, a former advisor to Mr Yeltsin, and now dean of Moscow’s Higher School of Economics. He has watched both Mr Putin, and Russia, change. This description sums up Vladimir Putin’s great versatility as a politician: he can seem equally comfortable wearing an expensive suit and discussing economic issues with world leaders, or sharing a joke with soldiers and speaking their slang. He has divided the opinion of those who have lived through his 10 years at the top. 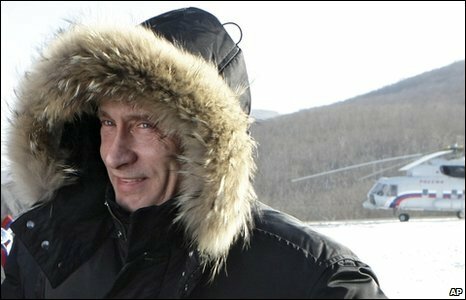 Many ordinary Russians – and, of course, Russia’s new super-rich – thank him for bigger paycheques. Others see this as having come at too high a cost to political and press freedom. 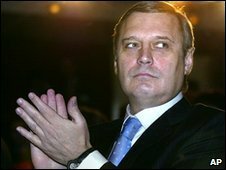 One of Vladimir Putin’s first moves was to appoint Mikhail Kasyanov as his prime minister. Today, Mr Kasyanov is Mr Putin’s implacable opponent. “He was, and is, an old KGB officer who leads, or tries to evaluate all events and future from that angle: how to control society, how not to allow people to directly participate because that brings risks,” says Mr Kasyanov of his former boss. Konstantin Kosachev, chairman of the Russian parliament’s foreign affairs committee, disagrees. He puts Mr Putin’s political success down to an electorate fed up with the chaos it associated with Russia’s immediate post-Soviet democracy. “[They] believed… that one needs to have a strong leader. And then Mr Putin appeared, and he was immediately supported by very many Russians who still had expectations for life changing for the better. 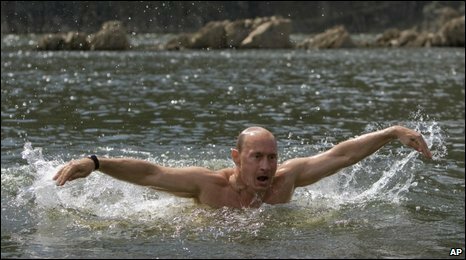 At times he has needed it – dealing with incidents like the sinking of the Kursk nuclear submarine in 2000; the Moscow theatre siege two years later; the killings of Beslan schoolchildren in 2004. The arrest, and subsequent jailing, of Mikhail Khodorkovsky, who was once Russia’s richest man, has been one of the most controversial cases of the Putin era. In 2006, Russia held the G8 presidency. Vladimir Putin welcomed world leaders to his home town, St Petersburg. The country felt it was reclaiming the superpower role it had lost with the demise of the Soviet Union. Still, under Mr Putin, Russia’s relations with the West have at times been tense. The eastward expansion of Nato has infuriated Moscow. Russia’s war with Georgia saw the United States and many European politicians support Georgia. “Russia has emerged for the West as something very alien, and it’s not really a partner, it’s not a threat, and the relationships are very ambiguous,” says Oksana Antonenko, a Russia expert at the International Institute for Strategic Studies in London. She believes, though, that Mr Putin has already done enough to guarantee his legacy. “Putin certainly has already assured himself a very favourable place in Russian history,” she suggests. Sergei Karaganov sees a more complicated picture. “The cost of progress became higher and higher: blatant corruption, over-centralisation, and a decrease of incentives for economic growth,” he argues. “If that is reversed somehow in the next several years, he will be seen as a controversial, but a great politician.